Puurs, 30th March 2017. 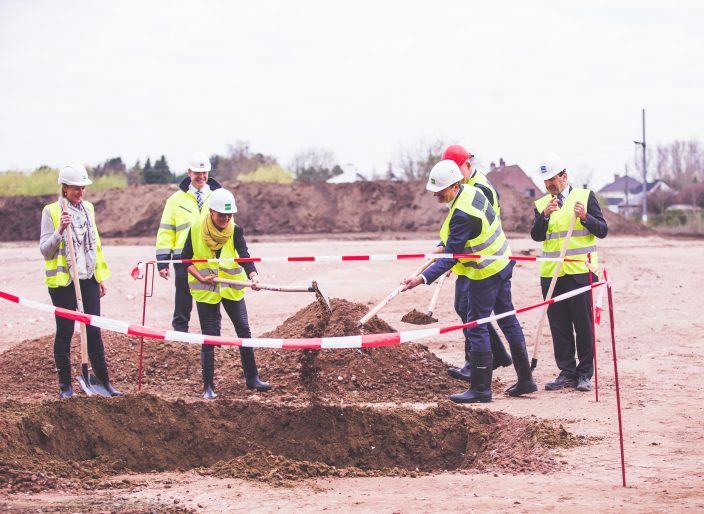 Fiege Logistik and the Goodman Group, an integrated property company that owns, develops and manages logistics and business space worldwide, have today celebrated laying the first stone of a significant extension of Puurs Logistics Centre. Fiege will use the space to respond to the changing needs of its customer, Makro.The existing Puurs Logistics centre consists of two units across 20,600 sqm. The centre will be extended by a further 32,000 sqm, of which 23,700 sqm will be let to Fiege. The remaining 8,200 sqm will be developed for future customer leasing opportunities given the quality of the location as well as the demand for high quality logistics space in the area. It can be configured as an independent unit with its own entrances. The new facility is due for completion in November 2017. Puurs Logistics Centre is ideally located for logistics operations aimed at serving both the Belgian national and Western European markets. Located on Belgium’s main logistics route between Antwerp and Brussels and only 6 km from the Willebroek container terminal that sees daily shipments to the largest two seaports in Europe (Antwerp and Rotterdam), the strategic location in the centre of the Belgium’s ‘Golden Triangle’ allows companies such as Fiege and Makro to efficiently manage the flow of their goods. 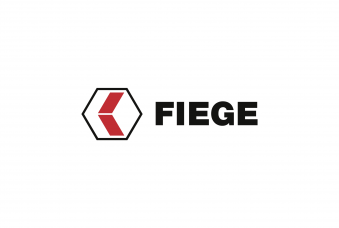 Anticipation of customers’ needs is key, said Pascal van der Linden, CEO of Fiege: “The timing was perfect: in May 2016, Makro decided it wanted to centralize its activities, which meant Fiege needed 20,000 sqm on top of the space we already occupied at Puurs Logistics Centre. By extending the lease and expanding the multi customer site we could offer the perfect solution to the Makro’s centralization strategy. 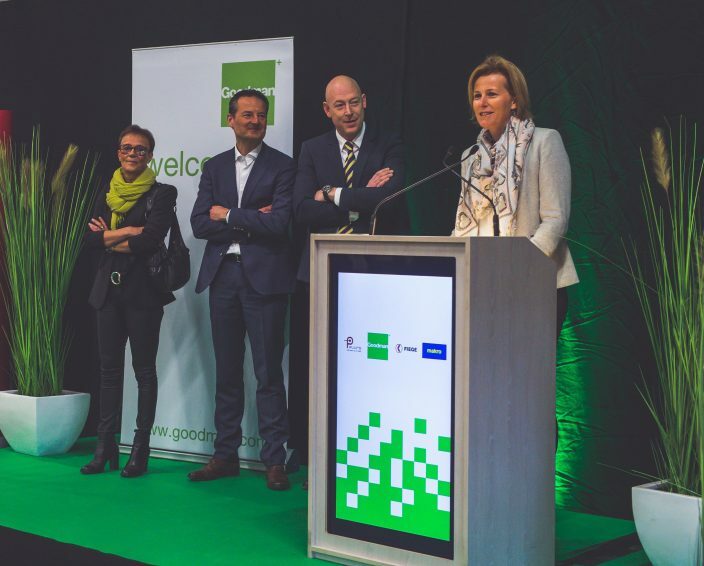 Kim Cornille, Country Manager Goodman Belgium adds: “We pride ourselves on being a strategic partner to our customers, able to listen and respond to their needs with quality property solutions. Today marks another symbolic step in the longstanding collaboration between Goodman, Fiege and Makro, which spans more than 10 years. As a major industrial landowner and developer, Goodman is well aware of the benefits of incorporating sustainable design principals and initiatives into its new developments. Sustainability is an integral part of the company’s own + develop + manage customer service approach: it provides cost savings to customers, value to capital partners and benefits to the wider community. All three parties involved in the project shared a commitment to optimizing the sustainability potential of the new development in Puurs. Working closely together during the planning and design phase of the project allowed the sustainable design elements to be optimized and the environmental impact to be minimized. To meet the requirements of Europe’s leading Lean and Green program, the facility will be equipped with sustainability features such as dimmable LED lighting with motion sensors and infrared heaters. It will also provide ample natural daylight to warehouse staff via light strips above the dock doors . Additionally, the building benefits from a rainwater recuperation system. These features will help to reduce energy consumption costs and natural resource use of the facility.